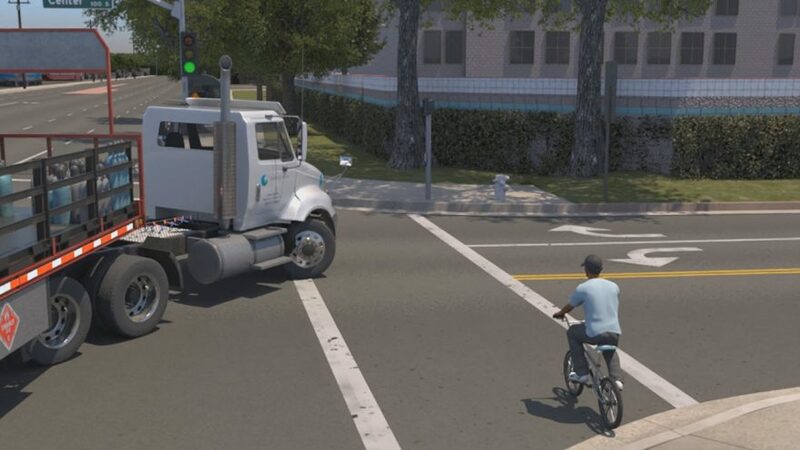 A truck driver does not notice a bicyclist (even though he had previous just passed him) and makes a right turn leaving the bicyclist no escape. The final movements of the bike rider were depicted as an arrow because his exact position at impact unknown. The plaintiff received a favorable settlement shortly before trial. 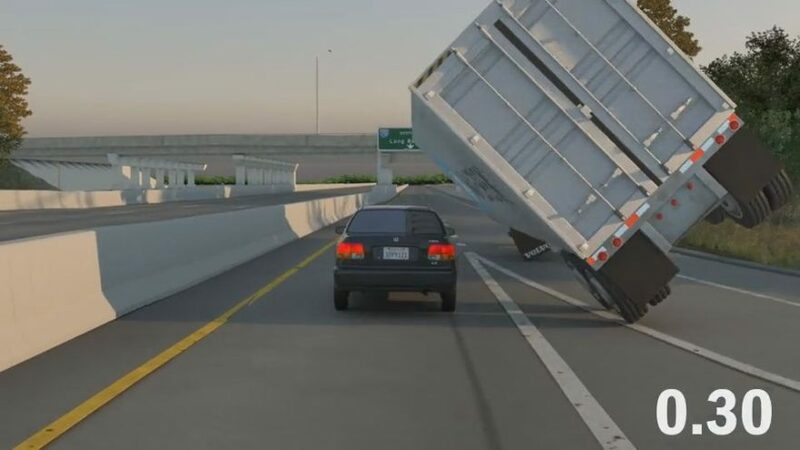 A dangerous exit ramp resulted in a tractor trailer tipping over and crushing the plaintiff’s vehicle.